If there were a better term for today, or for this entire week, I am 100% unable to come up with it. Two days after losing our chance at a game 7 and ultimately, the Stanley Cup, the Boston Bruins made themselves available to the media for one last time before they all parted ways for the off season. Monday’s heart breaking loss feels exactly like the worst break up I’ve ever had. And considering that I’ve been with my husband for almost 10 years, it has been a while since I’ve had a feeling quite like this. As a Broncos fan, the playoff losses the last two years in a row have been hard. But not this hard. Not even close. I keep trying to figure out why that is the case. I have definitely been a fan of the Denver Broncos for a hell of a lot longer than I have of the Boston Bruins. I was born in Colorado, born bleeding Orange & Blue. The longer I think about it, the more reasons I come up with. Football is different. Fewer games. A lot of times more fluctuating. Also, I know what it’s like to win a cup with this Boston Bruins team. It’s the kind of high that you couldn’t pay for, even if you tried. Here’s the other thing, though, the thing that a lot of people don’t understand: this team was 100% instrumental in healing an absolutely broken city. For me, that first Bruins game after the Marathon Bombings was the first time in DAYS that I had been able to almost forget for even 3 hours, what had happened on my favorite street in my favorite city. We lost that game against Buffalo. But that isn’t what I will remember about it. I will remember the Bruins fans singing the anthem for Renee. I will remember the teams saluting the fans. I will remember the Bruins, every one of them, wanting to win for “their city” for “their fans.” And they took that feeling all the way through the playoffs. In a way, this shortened season has felt every bit like a very long playoff run. There were so many games crammed into such a short time period and every one of them counted for twice as much. It’s hard to see and follow every single game during a regular season of hockey. It’s a lot! And it often conflicts with other TV and other life. The day after my football season ended is when I found out about the end of the hockey lockout. It felt like divine intervention. Erin’s sports life was saved. And because I was still pretty hurt about the Broncos, I poured myself into the Bruins’ shortened season like I never had before. I barely missed a period, let alone an entire game. 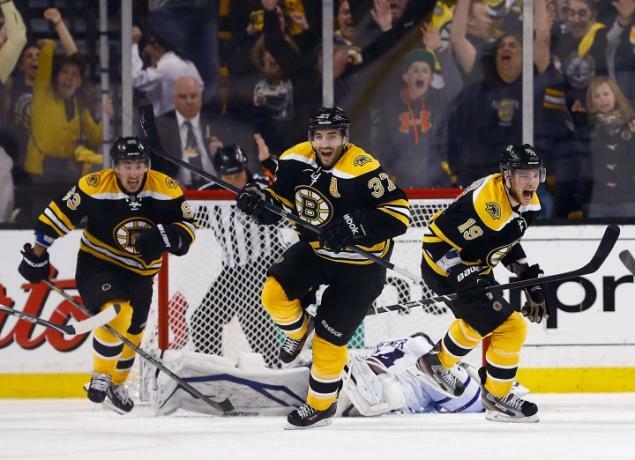 Of all the drama unfolding on my TV screen, the Bruins were the most entertaining. Their team chemistry and ability was undeniable. And oh, good lord, so much fun to watch. There is something to be said, about not getting too overly invested in any one thing. Everyone is always talking about moderation. I blame the short, fast season. The fact that I never missed all of any one game. It has all been so very intense. I love my television shows and I absolutely take the love of my favorite shows to the next level. Though, if you were to compare hockey time to TV time, one entire 23 episode season would be about the same as one 7 game series (Toronto vs. the Bruins). And if you want to compare drama vs. time invested: I have never seen any TV show more compelling than that. 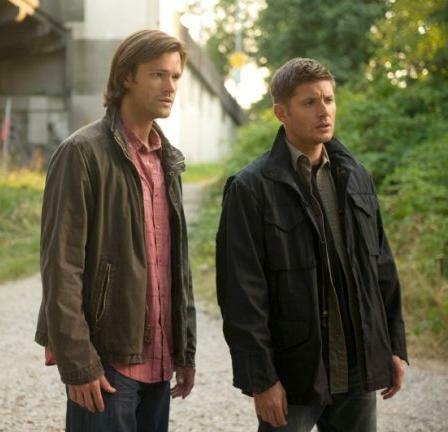 As much TV as I watch and love, nothing has ever come close to equaling the dramatic finale of that series. It will go down in hockey history. Beating the Rangers (who were an incredible opponent, fans included) and then taking down the unstoppable Pens (which was most fun knowing what they’re really like) = the kind of rush that can’t ever be bought. The Bruins absolutely earned their place in the Finals and I dare anyone to say otherwise. WE WERE ON FIRE! The Bruins were able to bring us together, just when we all needed a cause and a way to unite. They gave us a reason to cheer for Boston when so many of us wanted only to mourn. They gave us Soupy, skating on a broken leg, willing to acrifice himself for our unbeatable PK. At that time, we all wanted to win for Soupy. And Soupy just wanted to fight, to win for Boston. I will be forever grateful for the memories. So many great games with so many great friends. Amazing times shared with incredible people. I will never be sorry that I cared as much as I did. Losing this way, in the last 90 seconds of a game that was almost won, it stings. Not like a sunburn after a great day at the beach. More like getting tasered when you were just trying to escape. To say that it hurts like nothing else, is an incredible understatement. All of the players feel the same way. It’s hard to find videos of them talking about the end without tears in their eyes. 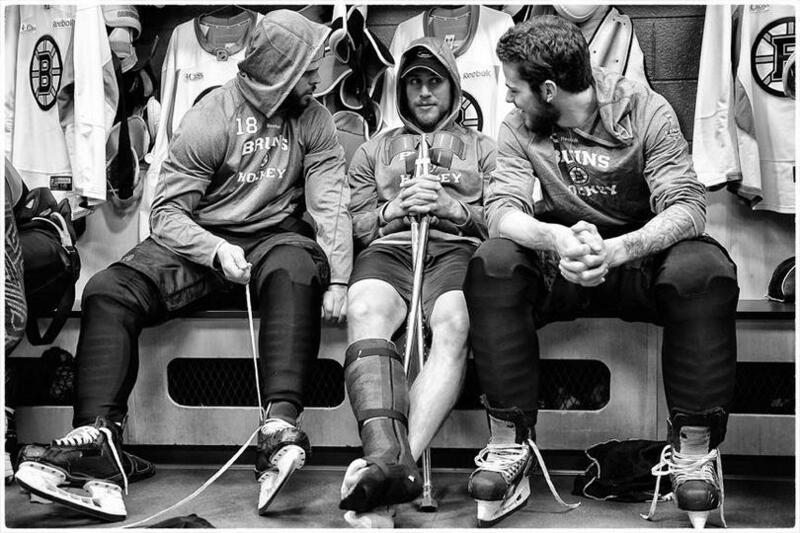 All hockey players play though injuries during the playoffs. Bad hips, broken bones. It’s nothing new. 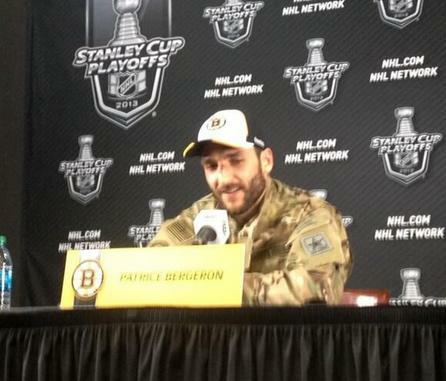 Our Prince, Bergy, played with a busted rib, torn tissue, a separated shoulder AND a hole in his lung. 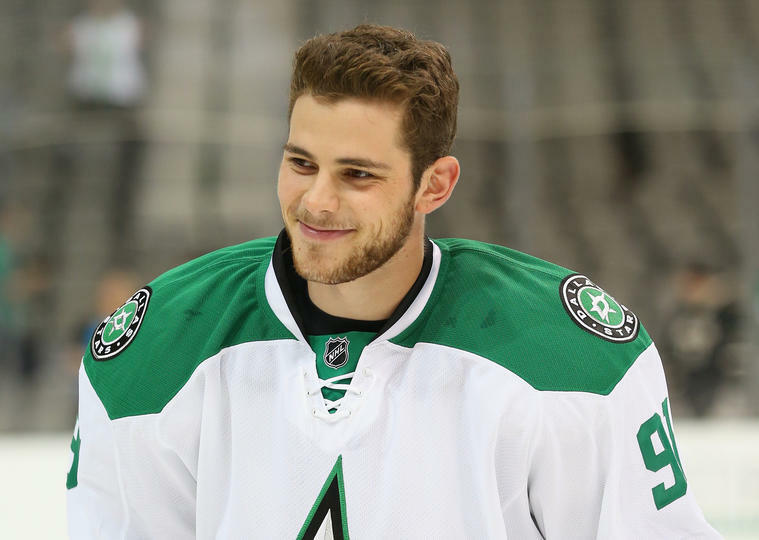 The guy was on the ice for over 17 minutes and absolutely made a difference to his team. You really don’t get more Boston Strong than that. I think about how much the loss hurts me and then I try to imagine how these players must feel. They tried so hard. And so many of them have said that they felt that they owed the city of Boston, that they just wanted to win for us and make their fans proud. Congratulations, Bruins. You have done that and more. Speaking for all of the fans that matter, we are so proud and we could not love you any more than we do now. You are ALL Champions to us. If it were up to me, you would be getting a parade tomorrow. 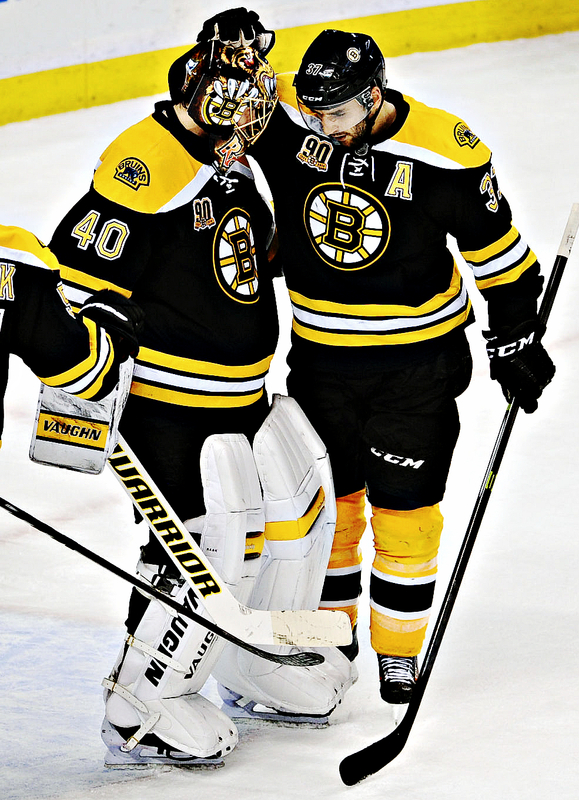 Tuukka Rask is a God among goalies. Cannot wait to make him a Bruin for life. That guy has earned that AND THEN SOME. To add insult to injury, we will be losing Andrew Ference during the off season. When I say that I am devastated by this loss, I am toning my feelings down just a tad. Ference is not only an incredible player, but an exceptional man and leader. Our team will be less after losing a player like him. Our city will be less, when he is gone. He will be missed. Deeply. Jaromir Jagr will not be wearing the Bruins jersey again, either. This is a week of mourning. He once told the media that the Bruins locker room was the first place in his entire career where he felt at home. I just could not be more sad. As we dry our tears, we must also prepare for next season. 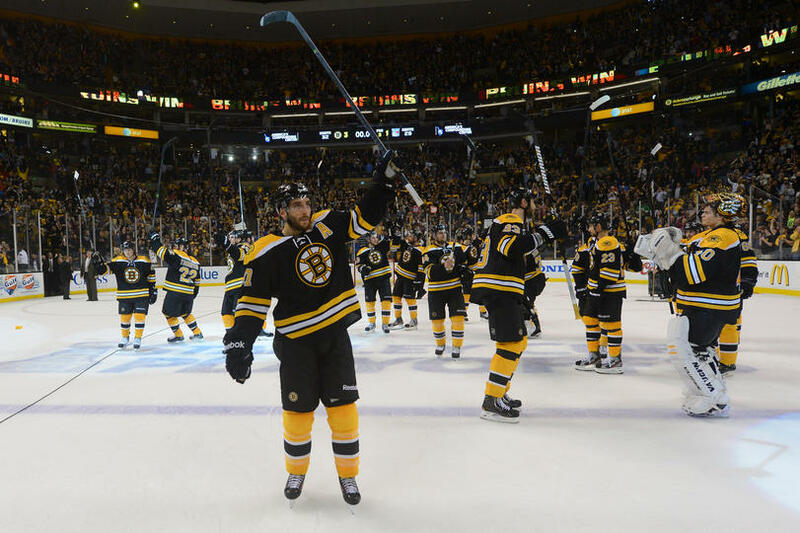 I am a Boston Bruin fan for life. I could not be more proud of this team. I know that they did their best. I will NEVER be sorry. More hockey is only 13 weeks away! It’s gonna be a long damn summer. So incredibly PROUD of my Boston Bruins tonight. The Pens really came out and played a much stronger game in #3. MUCH stronger. Despite their efforts, Rask was OUT OF CONTROL. Love our crazy Finn. 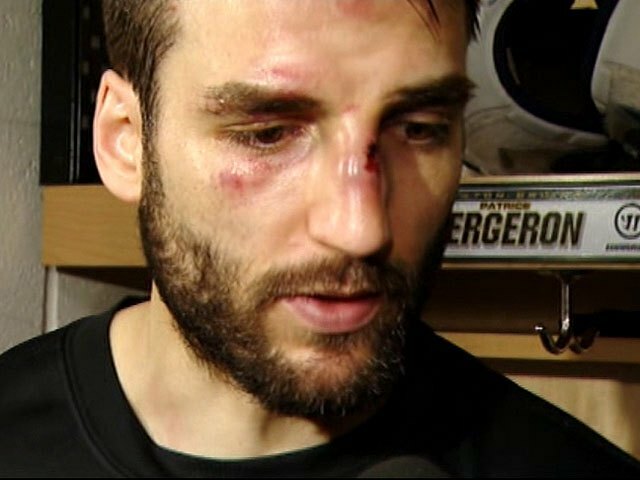 Bergy (his poor face!) earned that Army Ranger jacket. He’s our A for a reason. But, Tuukka Rask was also a real hero of this game. His saves were ridiculous. Absolutely incredible. Marchy and Jags and French Fries were REALLY AMAZING, as well. That’s the thing, about this group. There is not one guy. They work so hard, TOGETHER. They really look like a team. And they play like one, too. I love that they rallied behind Soupy. And I REALLY hope that he’s okay. Very worried. But it’s just like him, to risk it all, for the good of the team. UPDATE: Gregory Campbell has broken his leg. He will not be back for the rest of the season. (Source). If you are counting this series, we have 3 down and only one to go. If you are counting the playoffs as a total, we have 11 down and 5 to go. Not that I am keeping track.